Born in 2009 Moom was designed specifically for a global food manufacturer as a complementary product, meant to celebrate the quality of their food and support the brand experience. Moom introduced to the market an ironic perspective on young, modern dining behaviour. The project is the result of collaboration with ALESSI and found its place in the ALESSI product encyclopedia. STRATEGY We started exploring this project’s opportunities through observation and study of contemporary dining behaviour and rituals. We found ourselves in a world of quick lunches and dinners, the exact environment where our food manufacturer was playing. Meal times are very important moments, around which we share joy, worries, discussions and decisions. This is true for almost every culture, but this moment in modern times has been changing its meaning and its cultural role. Our perspective on this evolution drove us to an approach able to emphasise and, ironically, play with these changing habits. 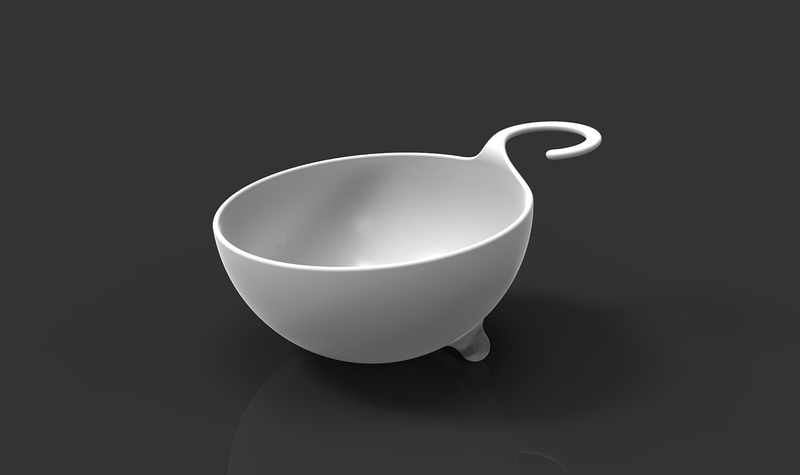 Moom is a bowl able to hold a glass of wine or champagne, (and why not a candle? ), designed for romantic fast dinners by yourself or with friends. We wanted to build an informal environment able to redefine the importance of both the food you’re eating, and the social and cultural value of the specific moment you’re enjoying it. This project has supported our partner not only through increased sales, but also by positioning its identity as a cultural and social player. This has added perceived value to its product and consolidated its role as market leader, both in business and cultural environments.